Ooops I nearly missed the closing date so this is a quick blog before I link up to the Clarity Challenge site. A week ago I saw Barbara's tutorial using the gelli plate to make what looked like a torn piece, I was inspired to have a go and this was one of three cards I made that afternoon , which is quite productive for me. I used Barbara's three layer technique... the hardest part was waiting in between layers for it to dry .. I am such an impatient crafter.. I had used the seaweed frame so when I saw the result I remembered I had a similar Clarity stamp so I stamped it over the gelli pint using Cobalt blue Archival , I also stamped through the tear I had made. 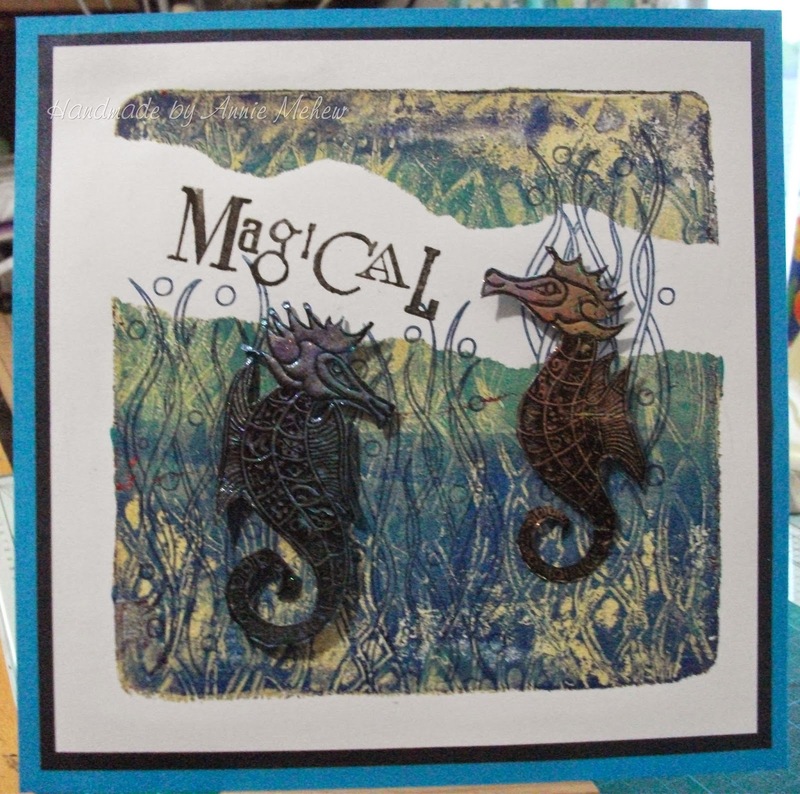 Then I made my two seahorses with fantasy film & fibres ... they are my new favourite stamps. I also love the new Word chain stamps for this card I chose the word magical because seahorses are the most magical and mysterious of animals. Annie, we would have missed you, lovely creation. Good luck.